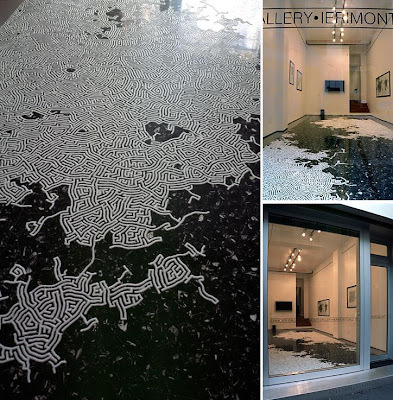 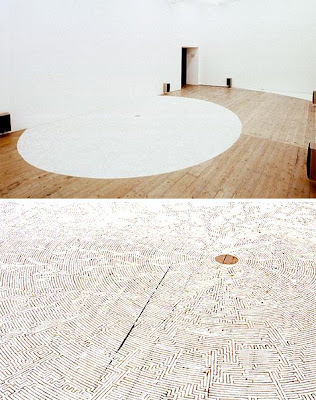 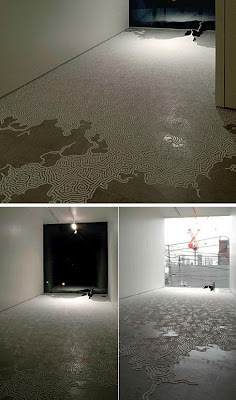 In past we have seen many impressive art installations but what we have here today is something special and unique that stands out from the rest: "Salt Labyrinth created by Motoi Yamamoto". 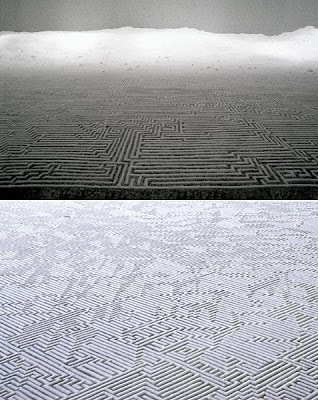 This Japanese artist uses salt in loose form to create intricate labyrinth patterns. 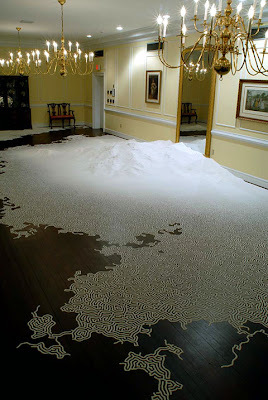 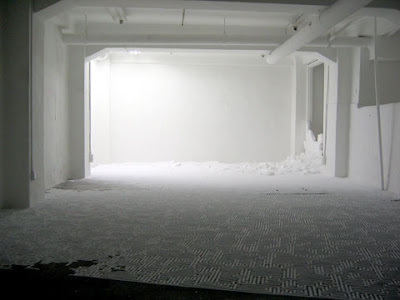 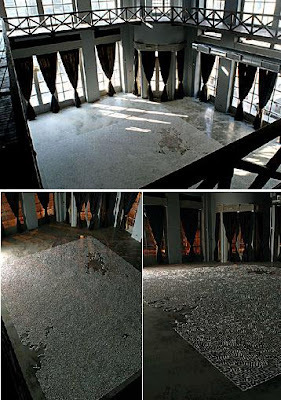 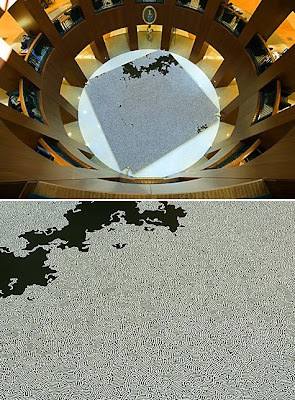 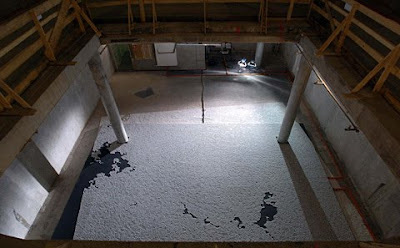 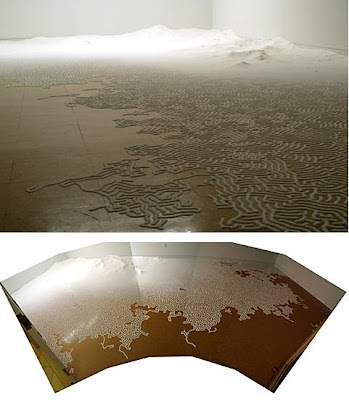 Following the untimely loss of his younger sister about fifteen years ago, Motoi Yamamoto chose the unusual medium of salt as it plays a very important role in Japanese culture and beliefs. 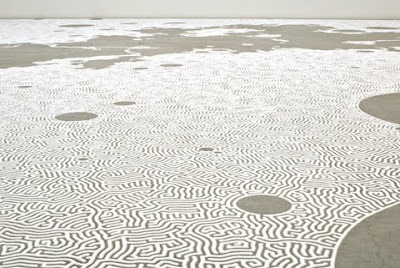 He has used his artwork as a means of reconnecting with her memory. 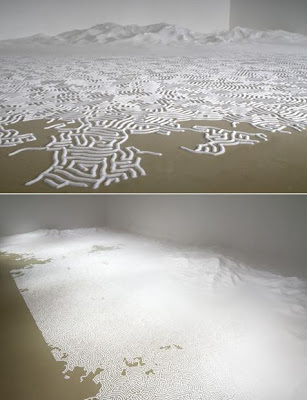 Over a period of time he has developed a more personal meaning for salt and thinks that salt in his work might have been a life-sustaining substance for some creatures. 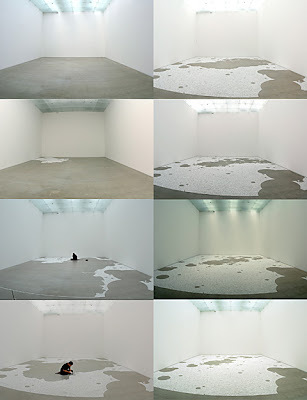 And for this very reason he requests that the salt in his installations be returned to the ocean once the artwork is disassembled. 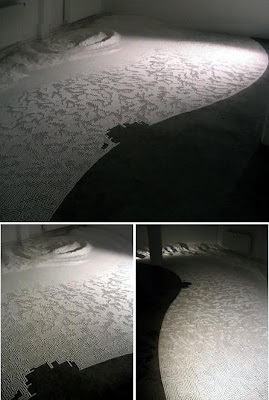 Do check the rest of his art work here - link. 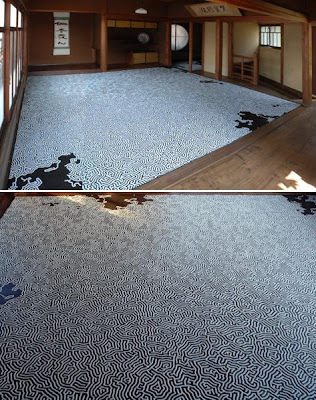 Some More Interesting Duvet Covers.